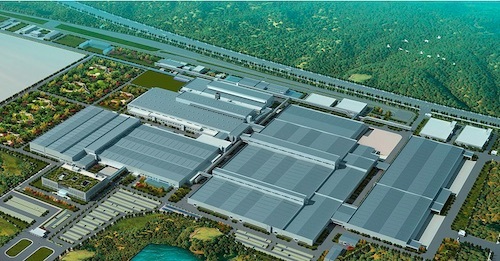 TOKYO, Apr 12, 2019 - (JCN Newswire) - Dongfeng Honda Automobile Co., Ltd., a Honda automobile production and sales joint venture in China, today held an opening ceremony to commemorate the completion of construction of its third automobile plant in Wuhan, Hubei Province, China. The ceremony was attended by approximately 400 attendees including representatives from the governments of Wuhan, Hubei Province, Mr. Zhu Yanfeng, Chairman of Dongfeng Motor Group Co., Ltd., as well as Takahiro Hachigo, President, Representative Director & CEO of Honda Motor Co., Ltd., and Yasuhide Mizuno, Chief Officer for Regional Operations (China) of Honda Motor Co., Ltd. the third plant of Dongfeng Honda Automobile Co., Ltd.
As a new plant capable of responding flexibly to the advancement of products, including the acceleration of electrification, this plant will accommodate production of electrified models. Moreover, this new plant is equipped with a water recycling system and emission treatment equipment which makes it more environmentally-responsible and realizes high efficiency through proactive adoption of automation in each production process. With such state-of-the-art production technologies, the plant will begin production before the end of this month.